Made of high quality steel with a coating shimmering in the colors of the rainbow. Gouging on the handle makes the damp comfortable in the hand and does not slip out of it. It can be used in cosmetics and not only. This product was added to our catalog on Monday 18 March, 2019. 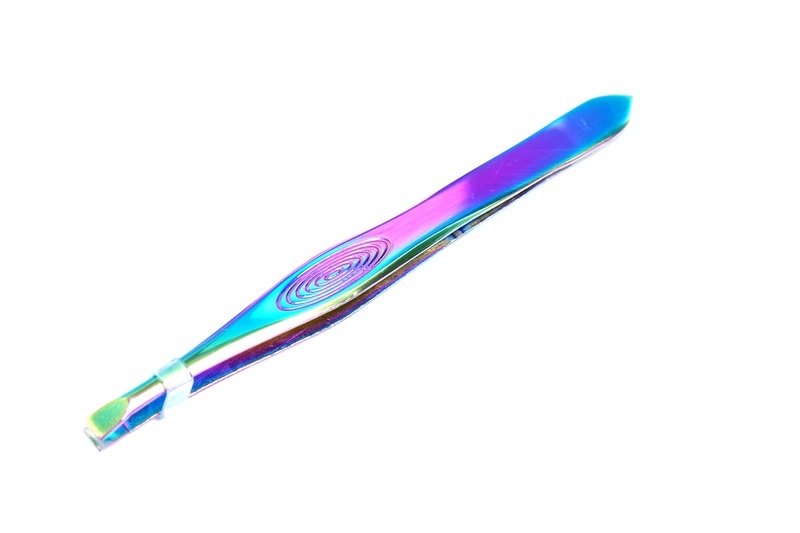 Tweezers for eyelash curved silver ST-15 Color: silver Professional eyebrow tweezers to adjust, handy and lightweight. Well-made​​, professional tool. Tweezers simplesilver ST-12 Tweezers to perform eyelash extension treatments, as well as to other treatments. Made of high quality steel. Tweezers simple Color: Black Professional eyebrow tweezers to adjust, handy and lightweight. Well-made​​, professional tool. Tweezers simple black Tweezers to perform eyelash extension treatments, as well as to other treatments. Made of high quality steel.